In a war, togetherness is a great weapon. 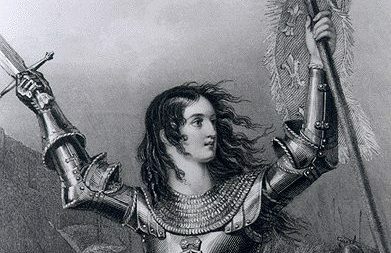 Hi, my fellow anti CCSS Warriors! I’ve got a great idea for us to band together this Memorial Day weekend. We all want to see CCSS end, right?! We can do this in less than 5 minutes..How, you ask? Simply use the #myanticcswords on Twitter or Facebook (or other social media) this weekend. Together our list will grow from the 3 sets of words I’ve used to be the examples. Then, when this weekend is over, the list will be able to be sent in one giant message to those in our state and federal legislative bodies in time to put a serious dent in any re-authorization plans for the ESEA and HEA (Elementary and Secondary Education Act and the Higher Education Act). Both are being overseen by Sen. Lamar Alexander. Both are full of more federal overreach into our lives; more CCSS and CTE college/career readiness agenda; data mining; workforce training, and more!! We MUST act as one AND we must act quickly! 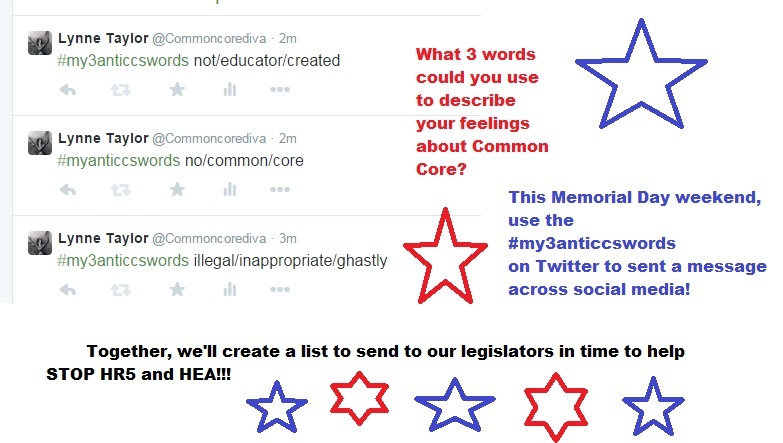 Celebrate Memorial Day by helping get the Anti CCSS words off the ground and on to your states capitals and D.C.!! 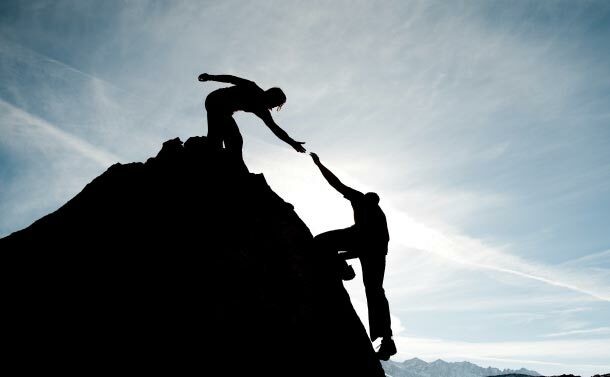 Just think: 3 little (or big) words can carry SO much power… ‘I love you’; ‘Here I am’; ‘I want to help’, etc. Three words can carry an image or stir feelings…’I hate tyranny’; ‘I am a patriot’; ‘Common Core Standards’; ‘Career Tech Education’; ‘breaking the law’, etc. Three words can send a distinct message when they are joined by others. For example, when I was setting up the hashtag, one anti CCSS group picked it up immediately and retweeted it to others. It’s a small start, but it’s a start that will only continue to grow. So, join me, anti CCSS warriors!! This weekend, tweet as many 3 word phrases as you can so we can retweet them to others, and use them to make such a distinct message of the people’s voices as together we fight the Common Core Machine! 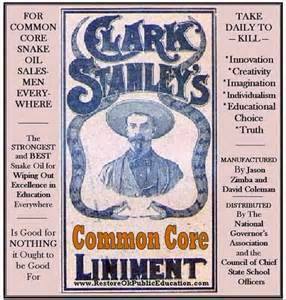 Always hang on to this, my fellow Americans, we’ve been sold a load of ‘snake oil’ via CCSS/CTE and all the other connections. Let’s show the salesmen what they can do with their product! Let’s do the patriotic thing this weekend: fight for our country. Electing local school board members who follow the Constitution and know they must stand against the State and Federal bullies and their unconstitutional and unfunded mandates is the path to FREEDOM for our children. Common Sense, NOT Common Core!